-- year -- 2018 2017 2016 2015 2014 2013 2012 2011 2010 2009 2008 2007 2005 1996 1994 1987 1985 1959 1946 ? 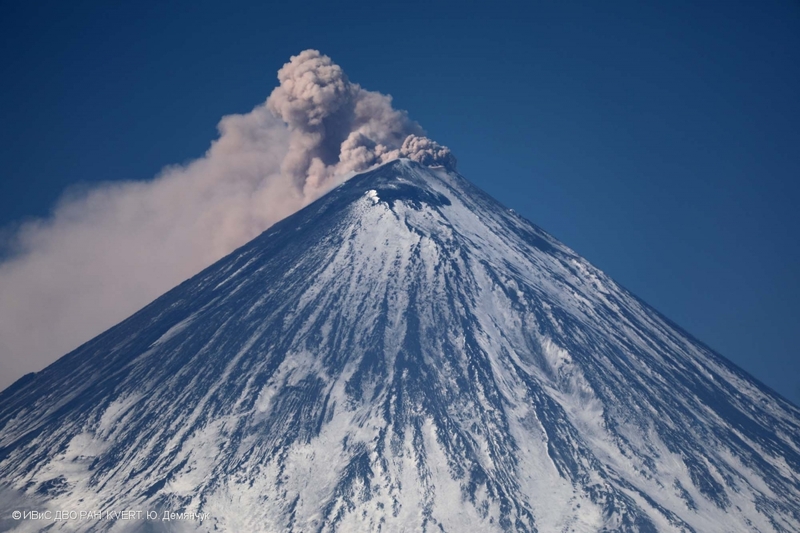 The fumarole activity of Klyuchevskoy volcano on 15 April, 2018. 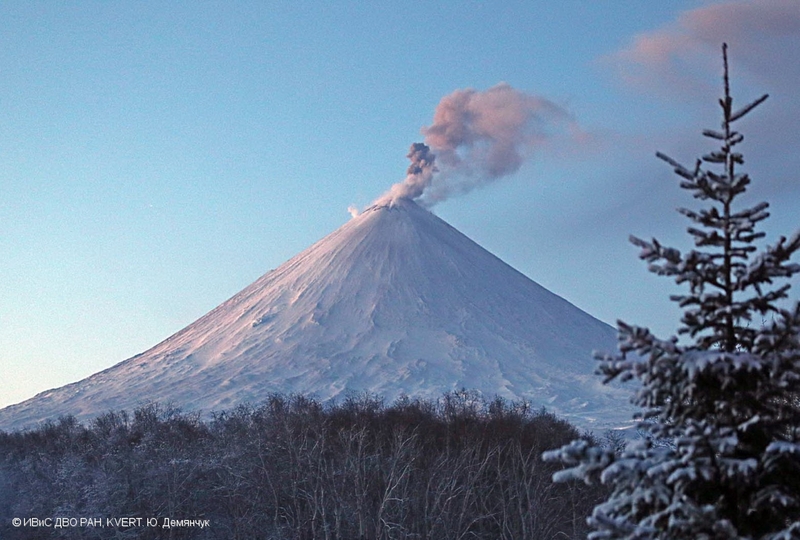 A gas-steam with some amount of ash activity of Klyuchevskoy volcano on 06 January, 2018. 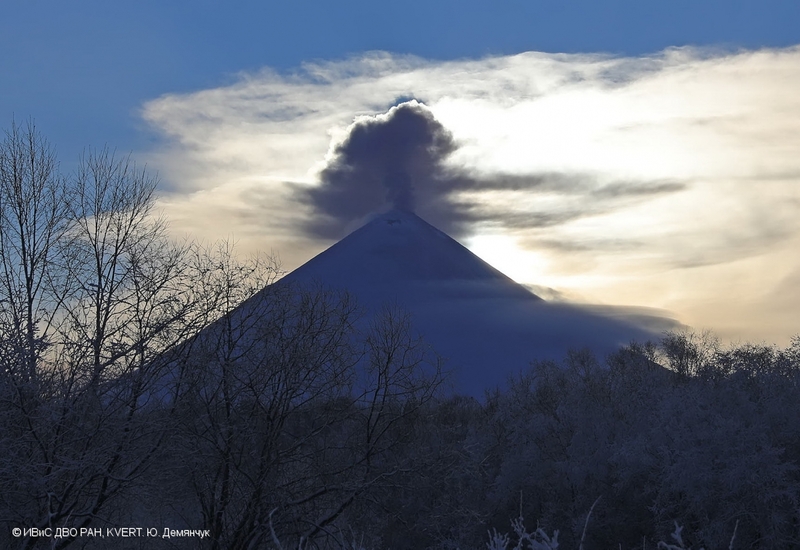 A gas-steam activity of Klyuchevskoy volcano on 03 December, 2017. 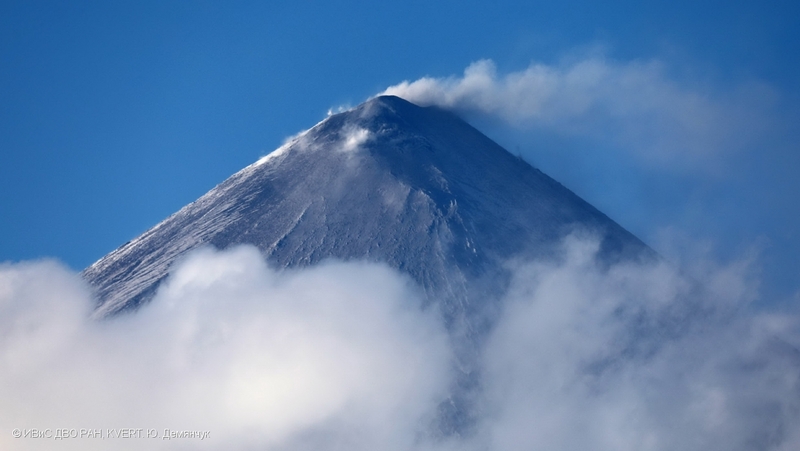 A weak fumarole activity of Klyuchevskoy volcano on 27 October, 2017. 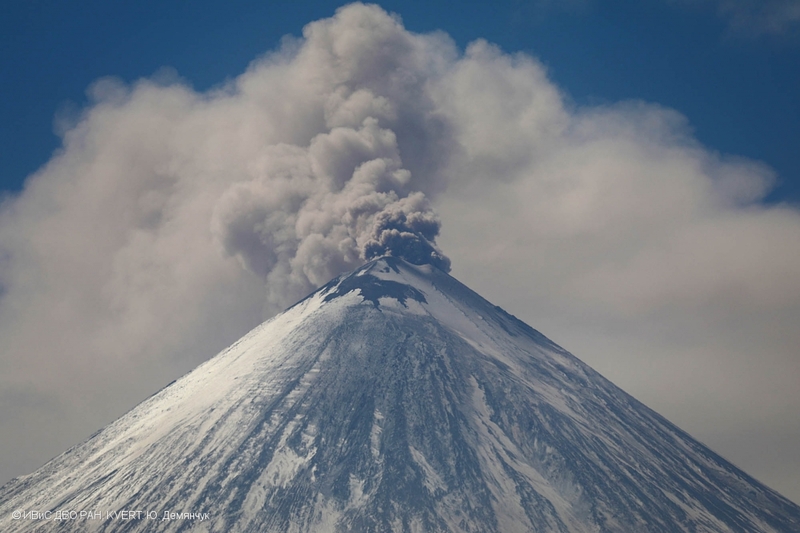 Klyuchevskoy volcano crater on 03 September, 2017. 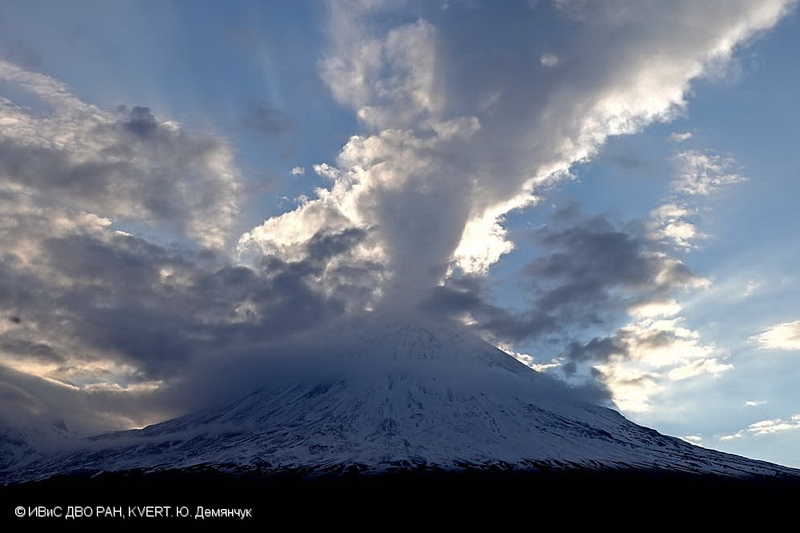 Explosive eruption of Klyuchevskoy volcano continues. 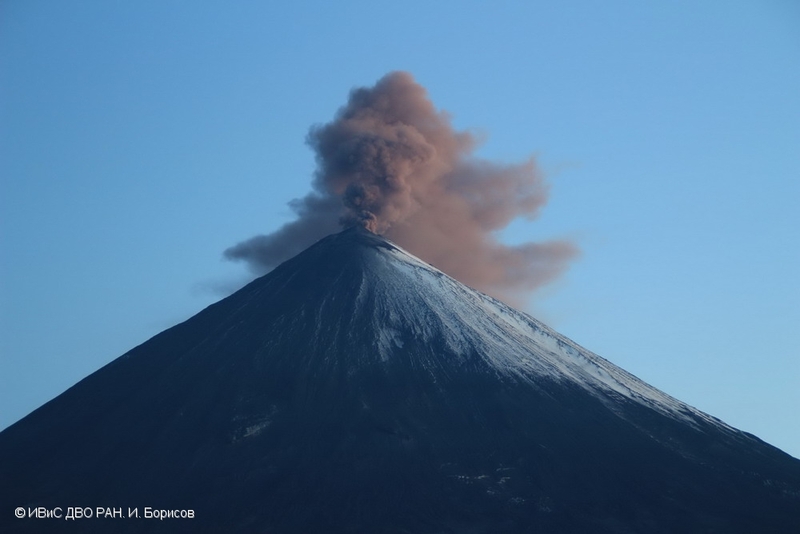 Gas-steam with some amount of ash activity of Klyuchevskoy volcano on 11 July, 2017. 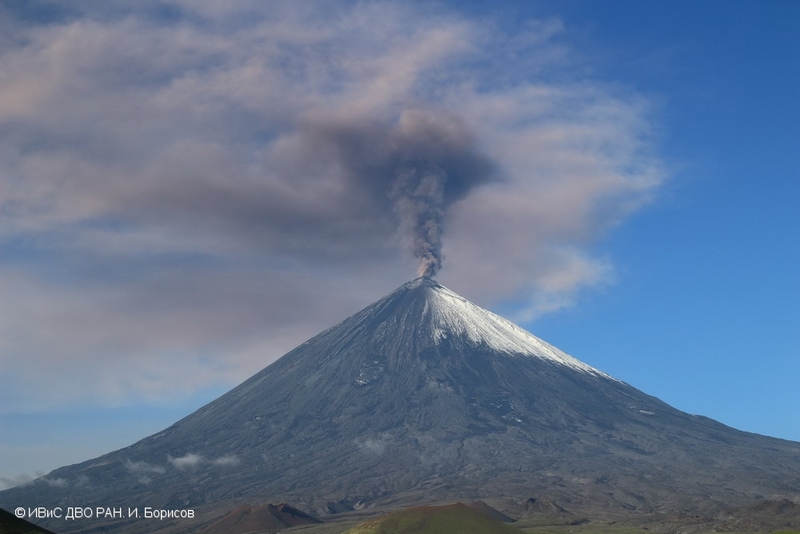 Gas-steam activity of Klyuchevskoy volcano on 18 June, 2017. 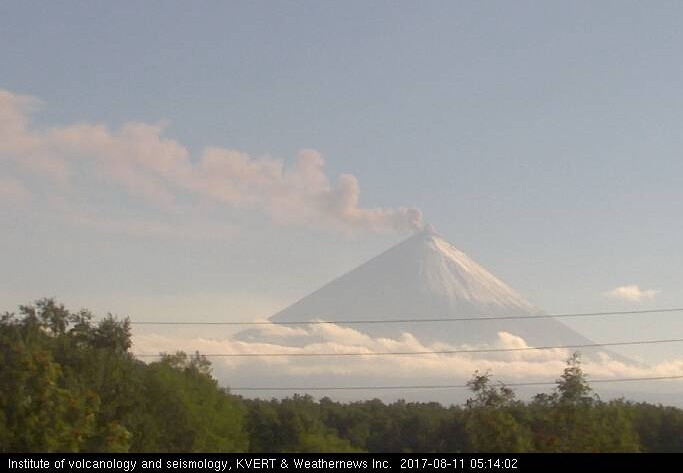 Explosive eruption of the volcano continues. 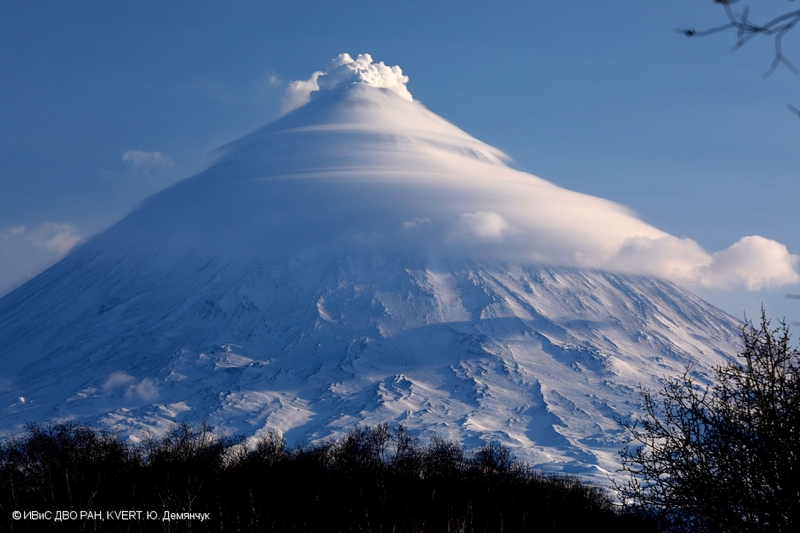 Continuous eruption of Klyuchevskoy volcano – ash up to 7.5 km a.s.l. 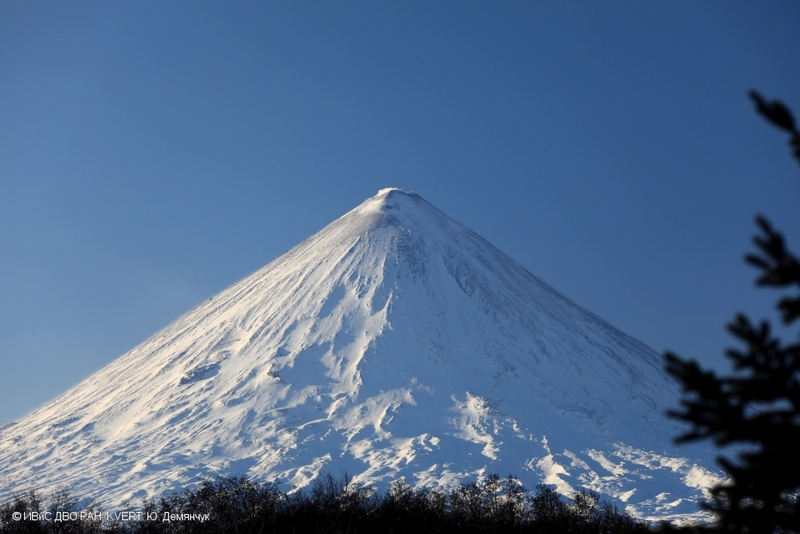 ; six explosive events of Sheveluch volcano (first event at 16:20 GMT on 14 June - ash up to 12 km a.s.l. 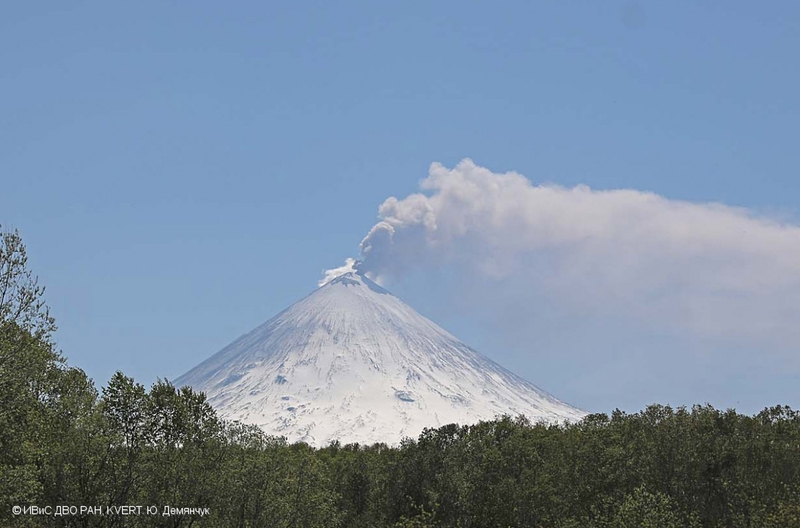 ); explosive event of Bezymianny volcano at 04:53 GMT on June 16 - ash up to 12 km a.s.l. 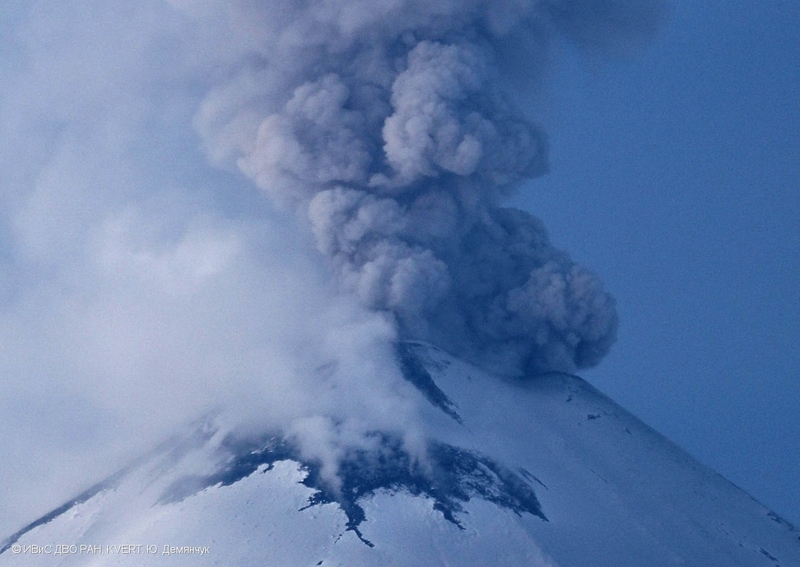 Explosive activity of Klyuchevskoy volcano on 01 June, 2017. 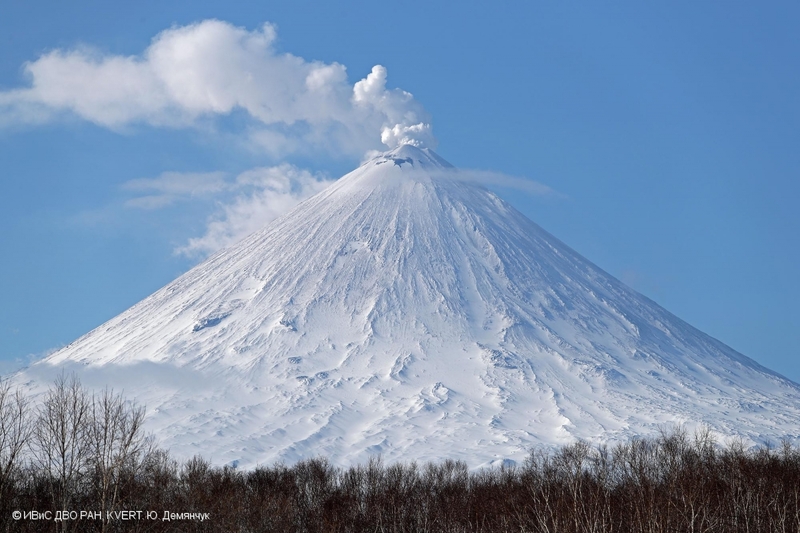 Gas-steam activity of Klyuchevskoy volcano on 24 April, 2017. 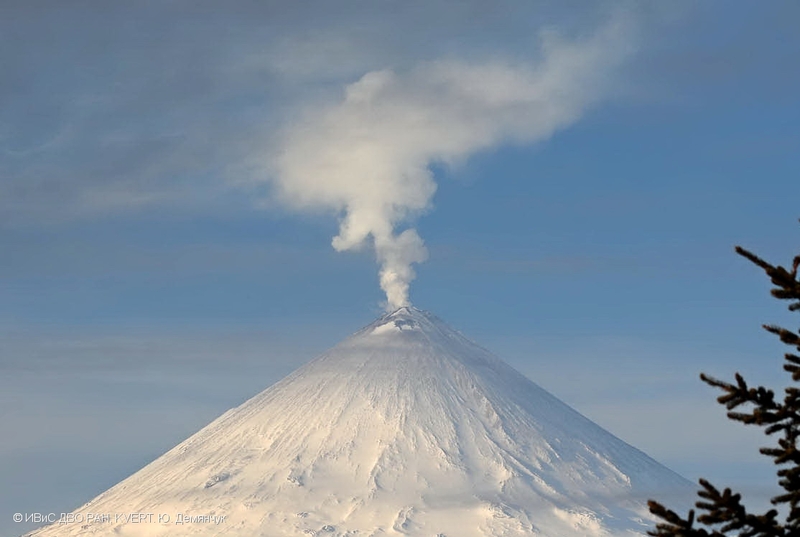 Gas-steam activity of Klyuchevskoy volcano on 09 April, 2017. 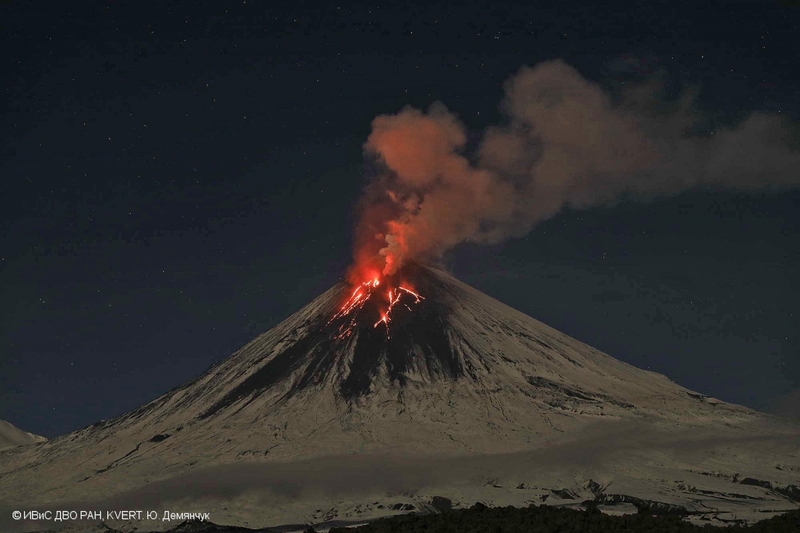 Fumarole activity of Klyuchevskoy volcano on 09 March, 2017. 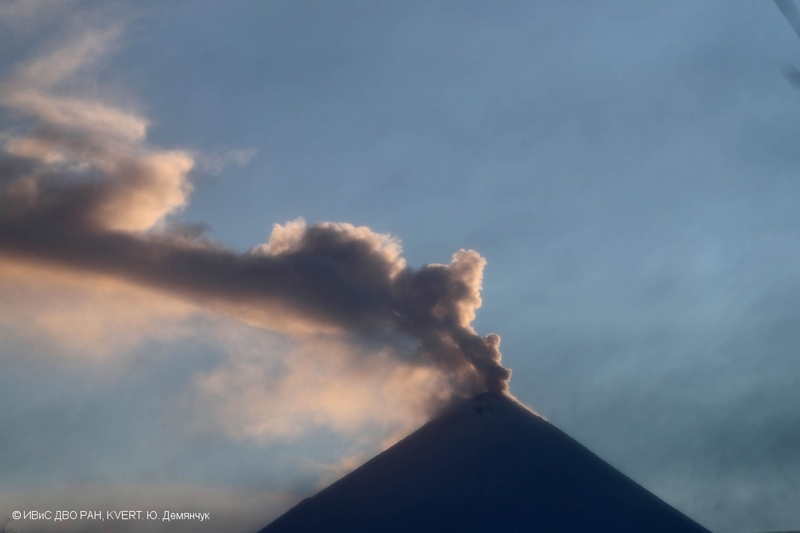 A gas-steam activity of the volcano continues. 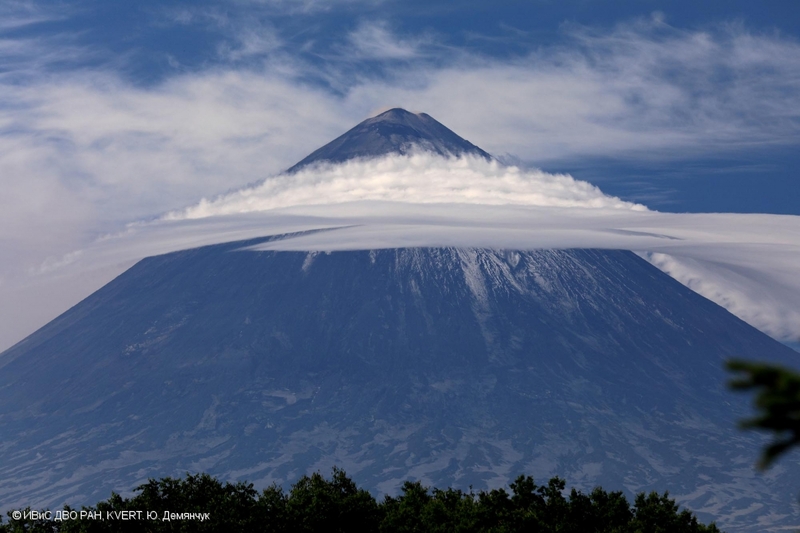 Sometimes gas-steam plumes containing small amount of ash. 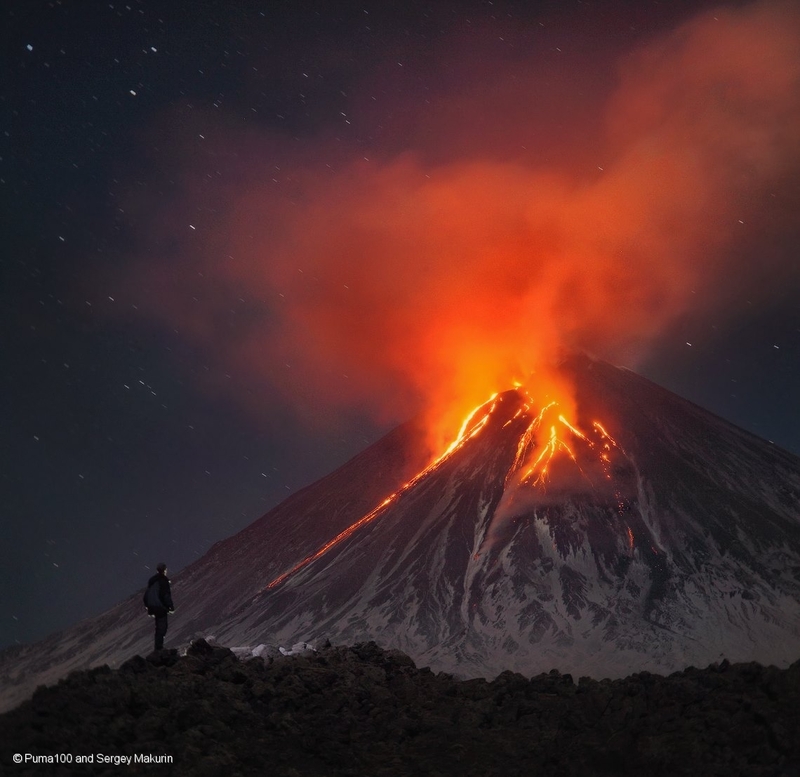 Lava flows on the eastern flank of Klyuchevskoy volcano on 14 October, 2016. 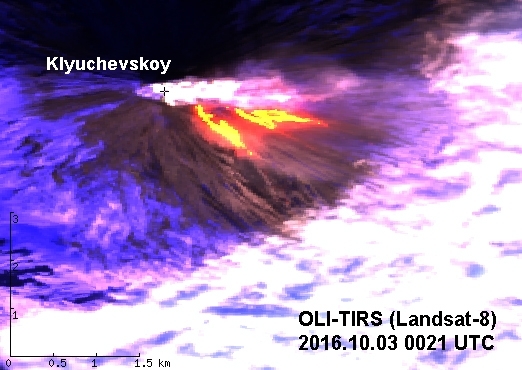 Satellite image of OLI-TIRS (Lansdat-8, USGS) at 00:21 UTC October 03, 2016. 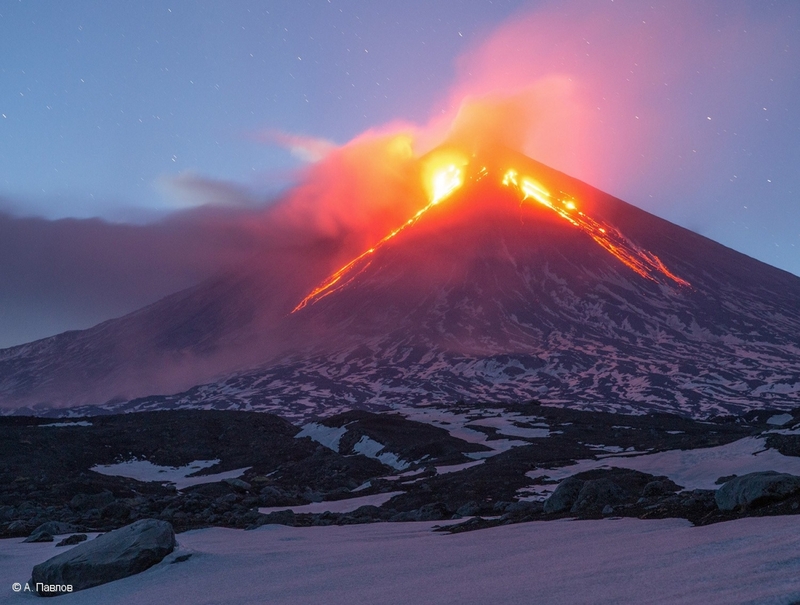 Lava flows on the eastern flank of Klyuchevskoy volcano. 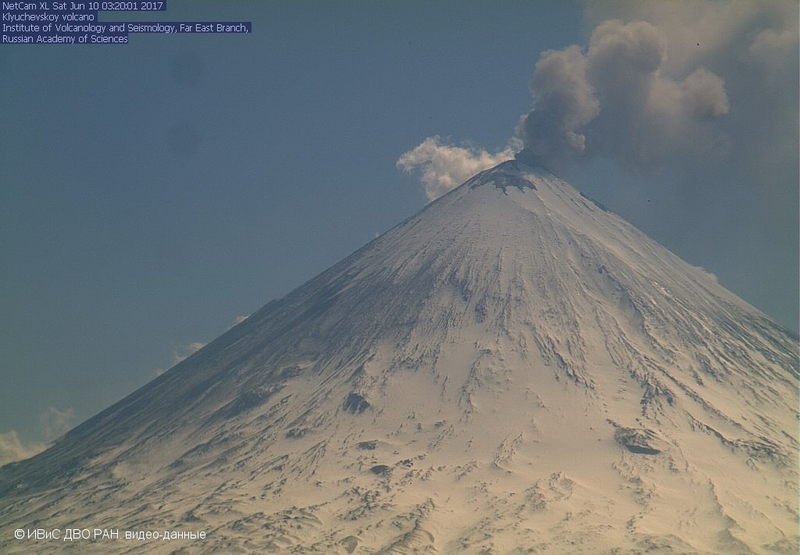 Explosive-effisive eruption of Klyuchevskoy volcano continues: lava flows effuse on the eastern its flanks.